TSC002: Richard Rogers on Being a Disciple In The Market Place and Implementing E-Giving In The Local Church With Richard Rogers. On today’s show we welcome Richard Rogers, Ministry Strategist at Horizons Stewardship and author of the book, The E-Giving Guide For Every Church: Using Digital Tools To Grow Ministry. The transition from corporate to ministry and consulting. Being a disciple in the market place. The E-Giving Guide , practical ways to help grow ministry. Push back from local leaders in the church surrounding e-giving. Understanding sacred versus a method. Strategies and tools surrounding the introduction and implementation of e-giving. Percentages for digital giving for local churches. Remembering your WHY and having it motivate and drive you to success. Richard Rogers brings a unique blend of business savvy and passion for the local church to his work with Horizons. Working with pastors and church leaders, Richard’s aspiration is raising levels of generosity in the church to enable God’s vision to become a reality. In his early career, Richard worked as a manager for a Fortune 500 company. A response to a capital campaign prayer led him into ministry to serve as a Church Administrator with additional responsibilities over Discipleship and Stewardship. During this time, he directed a church campus relocation project and several capital campaigns for building programs. Throughout Richard’s tenure in the local church, his leadership and focus on faith development helped his congregation experience a 70% increase in giving to the annual ministry plan. Most recently, Richard has focused his stewardship teachings on electronic giving through his book, The E-Giving Guide for Every Church: Using Digital Tools to Grow Ministry (Abingdon Press, 2016). 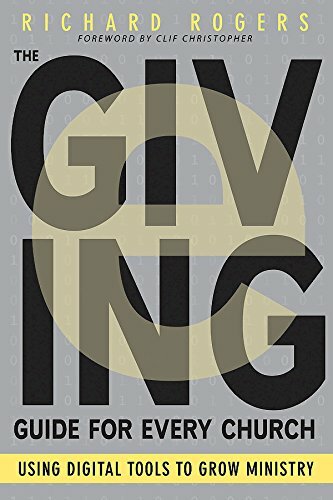 In his book, Richard discusses the evolution occurring in the philanthropic community from paper money and check transactions to electronic giving. The E-Giving Guide is a resource for churches to help them navigate into the electronic age of giving. Breaking down high-tech jargon and the myriad of confusing options, Richard offers a plan to easily and effectively incorporate e-giving into the daily life of the church.